Neil started his tax career in 1986 in Customs & Excise as a VAT Officer undertaking control visits on traders and was one of the few officers at that time to transfer over to the (then) Inland Revenue (a move he characterises as being transferred from the Johnson’s Paint League to the Premier League). 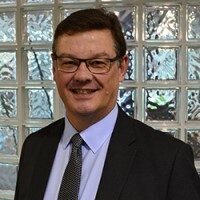 He has worked since then in practices ranging from top 20 to Big 4 and has latterly spent over 20 years working for Croner Taxwise and its previous incarnations. Neil’s current role is Senior Tax Enquiry Consultant assisting accountancy clients to deal with HMRC enquiries.